If like many small business owners, you’re still chasing employee timesheets on weekends, then the findings of a new survey won’t surprise you. This month, 500 small business owners were asked how often they find errors on their employees’ timesheets. * Almost 80 percent of the businesses using timesheets admitted they regularly have to make corrections before they can run payroll. That means as many as 4 in 5 small businesses with hourly employees waste time and money every pay period because they can’t rely on their time tracking system. Just 21 percent of the business owners who use timesheets said their employees never make mistakes when writing in their hours. Find out how TSheets solved Brett’s payroll problem. Last-minute changes to employee timesheets aren’t just time-consuming. They could land you in court. That’s right. If you have a dispute with an employee about the hours they’ve worked, and all you have in front of you is a paper time card, it could be your word against theirs. In the hands of a good attorney, your employee may be able to build a case against you. And even if they don’t, and the case never goes to court, you could still pull a big legal bill out of your mailbox one day. Wage and hour disputes are expensive — and they’re on the rise. A TSheets study published in 2016 found that wage and hour disputes have risen by 456 percent since 1995. Attorneys like Maria Hart strongly recommend keeping a solid audit trail of all your employment records, including employee timesheets that must be kept for at least two years under federal law. If you’re still using paper timesheets to track time, it’s a great time to make a change. Your time tracking solution is here, and it’s free for 14 days! 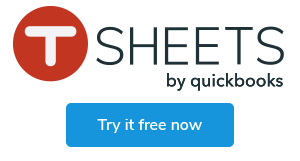 TSheets can help you avoid last-minute payroll scrambles and give your business a solid audit trail. The survey of 500 U.S. business owners was commission by TSheets from Google Surveys in October 2017. The participants were identified independently by Google from a pre-selected audience panel.